For 10 years I was dreaming about it, for five years I was looking for a spot for it, for two years working on it, for another two years building it, and finally here it is,” says Alexandre de Betak, luxuriating in the master bedroom of the house he has created, inside and out, in a small coastal village in the Tramuntana region of Majorca. Alexandre de Betak in an interview with T Magazine. De Betak designed every aspect of the house, down to the smallest details. Shelves in the kitchen are his nod to the artist Donald Judd. 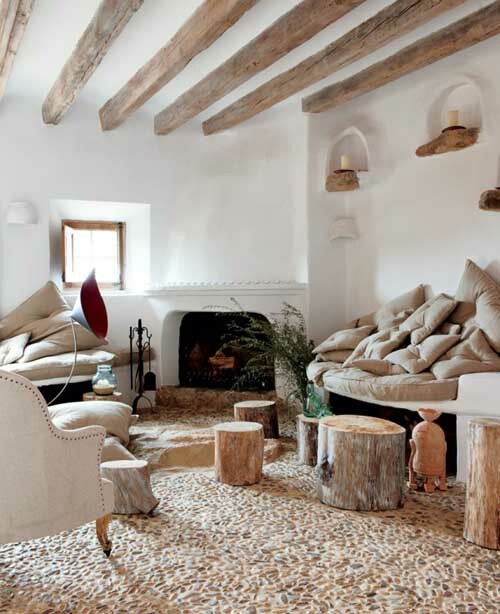 In the living room, a mountain of pillows covered in vintage military linen is perfect for a siesta — or movie night. An iPhone dock that Barney Rubble would love. 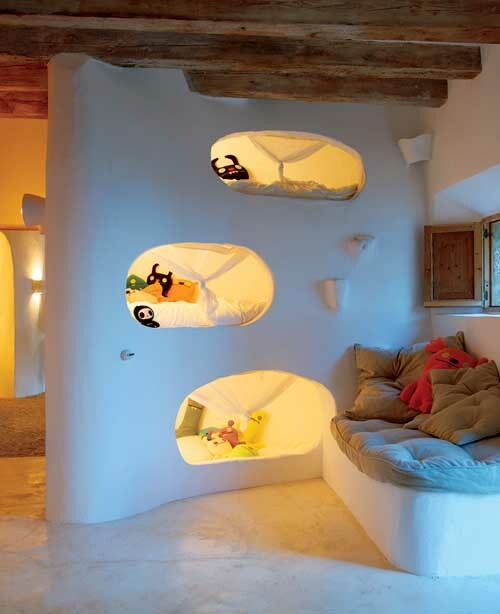 The children’s wing is outfitted with a three-berth sleeping cave. Very Cool home! 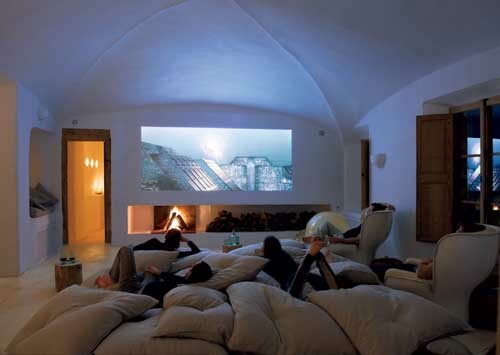 Not a big cave fan but this one I love!